The rumors can’t be true. Cascadian citizens disappearing? Wealthy Americans buying their way across the border? Piper’s sure it’s all just one of her brother’s wild stories. But now her family is missing. She’s been branded a criminal. And she doesn’t know what to believe. Piper’s determined to root out the truth, even if she has to start a revolution. But what if that means trusting the boy whose family displaced her own? Download your copy today to get a look behind Cascadia’s closed border. 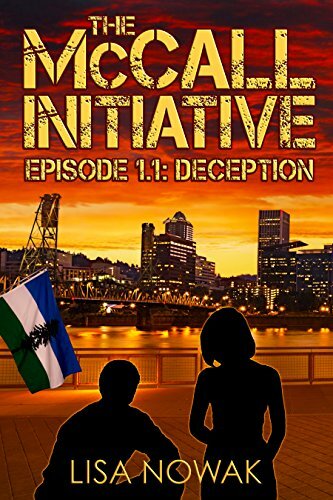 Deception, Episode 1, Season 1, of The McCall Initiative serial, is approximately 69 pages or 24,000 words. Season 1 is now complete! Some lives are bigger than one reality. Because they have to be. The day Mara Lantern meets herself, her life gets bigger. And when her new mentor says creatures from other realms are invading this world, she thinks it’s absurd. Until he explodes into a cloud of dust and reassembles himself. That makes her doubt. Then he says only she can stop the invaders. That makes her afraid. Join Mara Lantern and her companions in a seven-volume science fiction adventure through reality, time and space, where they encounter everything from steampunk dream worlds to artificial humans, from dragons to disembodied spirits, where metaphysics is science and magic is just one belief from coming true. Author’s note: To enjoy the story, you should read this series in order. This series was previously titled The Chronicles of Mara Lantern. Individual book titles and contents have not changed. Laura Matheson is a natural at avoiding romance, so when she is drawn to mystery guest Daniel Stone while helping out at her friends’ hotel in Portugal, she assumes all she needs is a little extra willpower. Daniel is at the hotel on business. The demands of work and a manipulative ex-girlfriend mean he doesn’t have the time or energy for romance, but Laura is a distraction he finds hard to ignore. 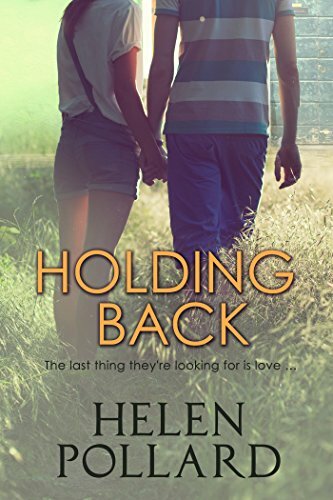 As they negotiate a minefield of misunderstandings and mutual attraction, will they both continue to hold back? Or will they finally allow love into their lives? 16 year-old Azi has grown up in the guild hall of His Majesty’s Elite in the peaceful kingdom of Cerion, training hard and dreaming of the day she will finally become a squire and ride out with her parents, both knights, on the King’s Quest. Her dream comes true when she earns the right in her sixteenth year, but her name is left off the quest declaration and her parents and their guild ride off without her. 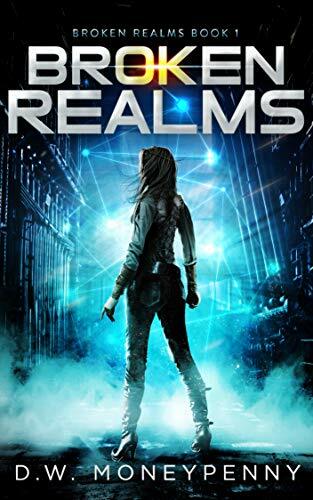 When tragedy befalls the Elite on their quest, Azi must band with her best friend Rian, a Mage Apprentice, to discover the source of a mysterious curse. They’re joined by an unlikely companion: a colorful fairy named Flit. The fairy clams she is from Kythshire, a mysterious and legendary land of Fae closed off from the outside and cloaked in secrets. A magical novel for teens and adults alike, with full-color illustrations by the author. Azaeli Hammerfel has been named a knight, and is thrilled to be on her first true quest alongside her parents’ guild. Their journey to see Prince Eron and his expecting wife safely to Lake Kordelya is shrouded with a sense of impending doom that tests the strength of His Majesty’s Elite and the love that Azi and Rian, the Mage, share. 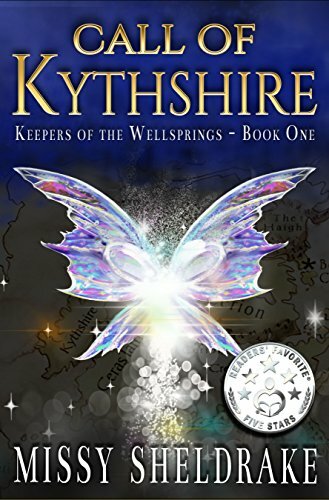 When Kythshire’s fairies find themselves a target of the same threat, an unlikely champion presents himself. Tib Nullen has had a hard life. He’s just twelve years old, but as a field slave in the Sorcerer-run country of Sunteri, he has seen more toil, loss, and cruelty than anyone should be made to endure. When tragedy strikes his family, Tib finds himself flung into a plot much bigger than he. In his struggle to make sense of his thoughts, which he fears are not fully his own, he learns he has a greater purpose: to help restore the Wellspring of Sunteri. 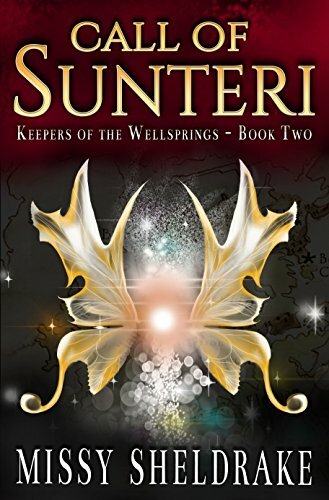 Sorcery, Dreamwalking, Necromancy, and mystery fill the plot of Call of Sunteri, the second book of the Keepers of the Wellsprings series by Missy Sheldrake.